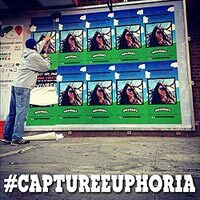 The brand -- which currently has nearly 124,000 Instagram followers who “like” its photos nearly 5,000 times per day -- is encouraging them to submit photos that “best capture the euphoric feeling that comes with eating Ben & Jerry’s,” and tag them with #captureeuphoria. To mark the program's kick-off, the brand selected one Instagram fan’s photo, created an ad, and went on location to film the winner’s reaction to seeing the ad in a local magazine. That video is being featured on the promotion site’s entry instructions page. "Our company has one of the most active and dedicated fan bases out there, and this program is not only a show of our gratitude, but a very public celebration of those fans,” he says. 1 comment about "Ben & Jerry's Turns Fans' Instagram Pix Into Ads ". Craig Hansen from getapps.co.nz, November 17, 2012 at 9:30 p.m.
Now thats a great example of engagement. The B&j community will love it!